Google said that Green Parrot's technology would enhance the look of videos posted on its site while using bandwidth more efficiently. A statement, posted on Green Parrot Pictures' website said: "We're excited to join Google, where we will apply our expertise to improve the online video experience for hundreds of millions of users worldwide on may different products, platforms and services." 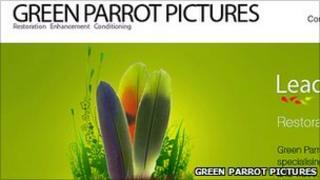 Green Parrot Pictures was founded six years ago by Dr Anil Kokaram, an associate professor with the school of engineering at Trinity College, Dublin. Google, which owns YouTube plans to use Green Parrot's technology to perform on-the-fly background processing on user videos. Writing on the official YouTube blog, Google's director of video technology, Jeremy Doig said: "What if there was a technology that could improve the quality of such videos -- sharpening the image, reducing visual noise and rendering a higher-quality, steadier video -- all while your video is simply being uploaded to the site? "You can imagine how excited we were when we discovered a small, ambitious company based in Ireland that can do exactly this."